Desi Smith/Staff Photo. 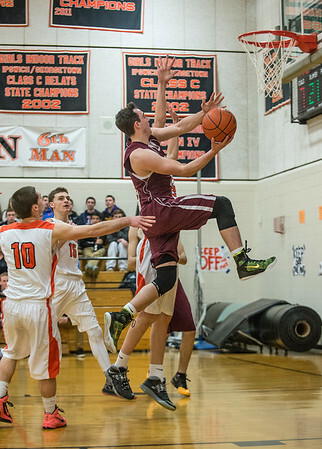 Rockport's Mike McCarthy flies in for a layup against Ipswich Saturday afternoon at Ipswich High School. February 14,2015.